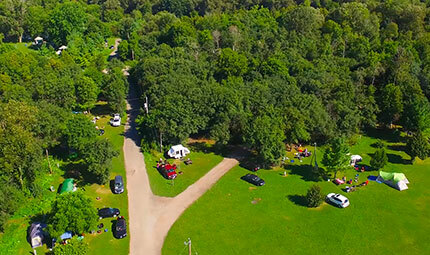 Bingemans Camping Resort is ideal for groups, with so many nearby activities there will be something for everyone in your group to enjoy. We regularly host camping rallies, family reunions, scout troops, church outings and have the ability to reserve areas to suit your group's needs. We can also provide indoor meeting/event space to accommodate people up to 1800 people in our convention facilities, located a walking distance from your campsite. Group discounts start at a minimum of 10 campsites. Please contact your Camping Resort Manager to learn how we can provide your group with a Grand Experience.